We distribute new and pre-loved essential baby items to WA families in need. We provide a box of “little things” to assist families to care for their newborn with items such as clothing, blankets, nappies, wipes, toys and books. We collect and package donations together with a team of volunteers anddistribute our New Baby Boxes via existing support services and government agencies. We are proud to help to create a sustainable future for our children by recycling used items. We’re seeking a Perth based committee member to fill the position of Treasurer. The role completely manages the financial requirements of the business from a “day to day” transactional perspective to management and financial reporting. As the primary person responsible for all financial matters, your stakeholders are both internal (the Committee) and external (ATO, external auditors, ACNC, Dept. of Commerce, Banks etc). Your financial background may also be utilised in strategy and risk management. Complete oversight of transactional data. Preparation of quartile BAS submissions to the ATO. Preparation of Annual Financial Statements and accompanying notes. Point of contact to external audit. Cash management and bank liaison. Tertiary qualifications in Accounting and strong financial and accounting skills. CPA/CA qualified or working towards. Personal commitment to the mission of Little Things. Willingness to take a leadership role. 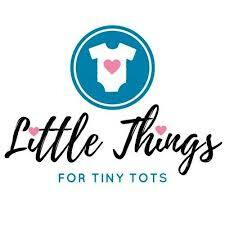 Please quote in application: Treasurer - Little Things for Tiny Tots via Pro Bono Australia.